Local Sk vehicle, loaded with everything! This 2013 Honda Accord comes well-equipped with a V6 engine, Power Memory Leather Seats, Bluetooth, Back-up Camera, Navigation, and more technology than you would expect from an affordable used sedan. Push-button Start and USB round out the bounty of comfort and convenient features. The Accord is always one of the most popular cars on the market, due to its combination of high quality, reliability, affordability, and the long life that Honda is famous for. Call, email or text us to book your test drive. You'll be impressed with how much you can get for so little. 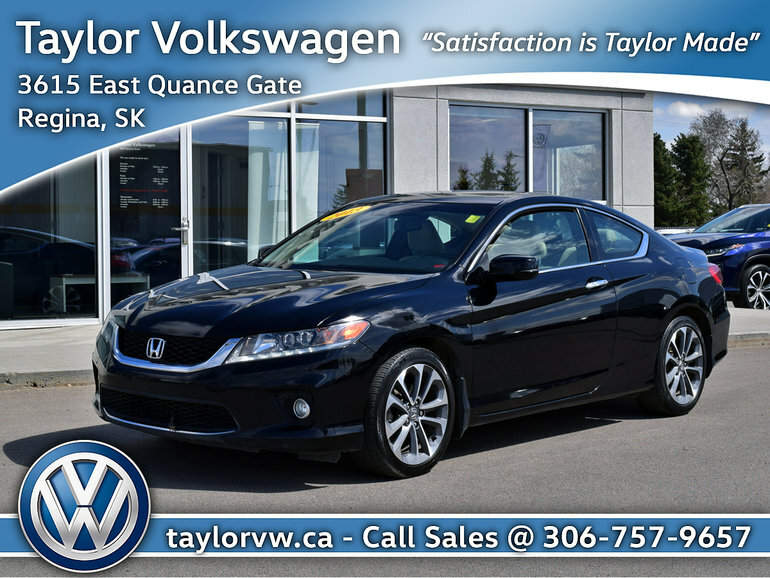 Interested by the 2013 Honda Accord Cpe EX-L V6 Navi at Local Sk vehicle ?